I really love good food and even if it tasted aweful, I wouldn’t mind so much if it were for free. But I guess I changed my mind after eating at a supposedly a nice chill out and food pub in Petaling Jaya with a nice British Pub setting, Sid’s Pub-Bangsar South last night, I am still holding onto tiny glimpse of hope that it was just a Sunday thing where the real chef was kidnapped and in an emergency case the pub owner asked his garderner to cook because I really remember the food tasting much better than yesterday, and the service..gosh, I would have been happy with self-service, with that look on the face of one of the waiters that served us, I promise you, he would have to pay YOU to serve you…for the 10% of service charge I paid, I felt I was paying for bitter gourd. Sid’s Hotdog RM8- Just a bun and hotdog. Sunday Roast Beef RM35- Disappointing, tasteless, tough and the gravy…Just did not help a bit. Cauliflower and cheese soup RM8- tasted sour-ish. I thought it was yoghurt soup for a minute. Green Peas and ham soup- Justin timberlake’s “Cry me a river” would have to go with this soup. Seriously it was the worst soup I’ve tasted in years. Grilled Salmon- Dry and over cooked. Fries- they were okay and crispy at least. The one thing that had a bit of dignity in all we ate. I think the only reason I would go there would be for the beer, fries and ambience. Coming back to food I guess once in a while you have to taste horrible before knowing what’s good. Having a change is necessary. With new movie “The Twilight Saga: Breaking Dawn“ coming up, most of my friends girls especially are really excited about it to a point it scares me that they seem very much into vampires and werewolves. Although I’m not really very into bloodsucking and all but I give huge thumbs up to the author Stephenie Meyer who made her dreams literally come true( yes she dreamt about vampires and really awakened to millions). That’s why sleeping is always a good thing, the first step to dreams. I guess people really love this ….ghost movie… is out of the adoration of the love between Edward Cullen and Bella Swan being so strong and eternal that both are willing to die and sacrifice for each other, such love that we all do actually want or dream about. Anyway my main point is the soundtrack itself by Christina Perri, “a thousand years”. She actually got a tattoo “bitten” below her wrist being a die hard fan of Twilight Saga….sheeshh.. This has long expired but I’ll write it out anyway. Info on direction, maps, accomodation and locations can be found within the long-winded text. You can contact me for a compiled info (eg. Things you need to take note of, before going to Calcutta). 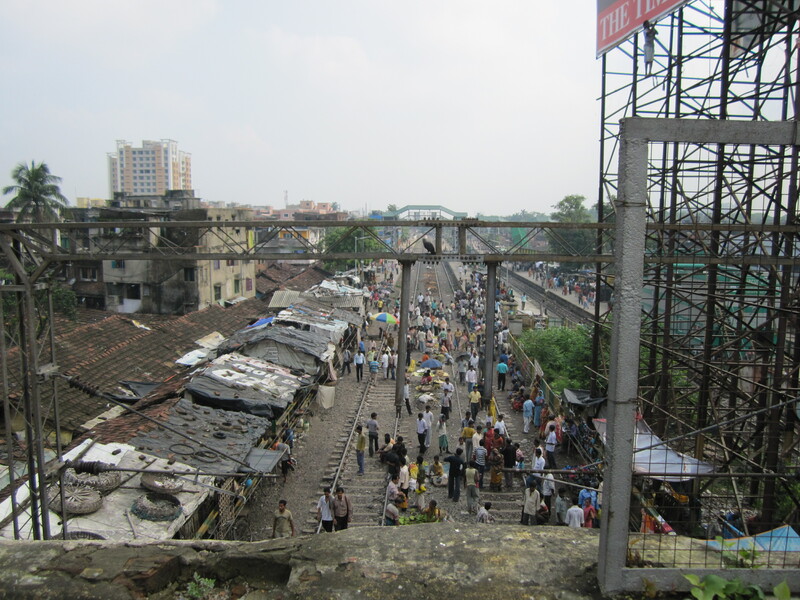 It’s been 2 months since my trip back from Kolkata (Volunteering with the Missionaries of Charity). It was hard to find time to put it into words, so many things I would want to do but time flies like a G6. Anyway the trip was just weirdly amazing, from the eyes of those who haven’t experienced this it would be hard to explain how transforming this trip was for me personally. It is different from a person who sees the forest from a distant then the person who actually goes through the shrubs and trees of the forest itself. 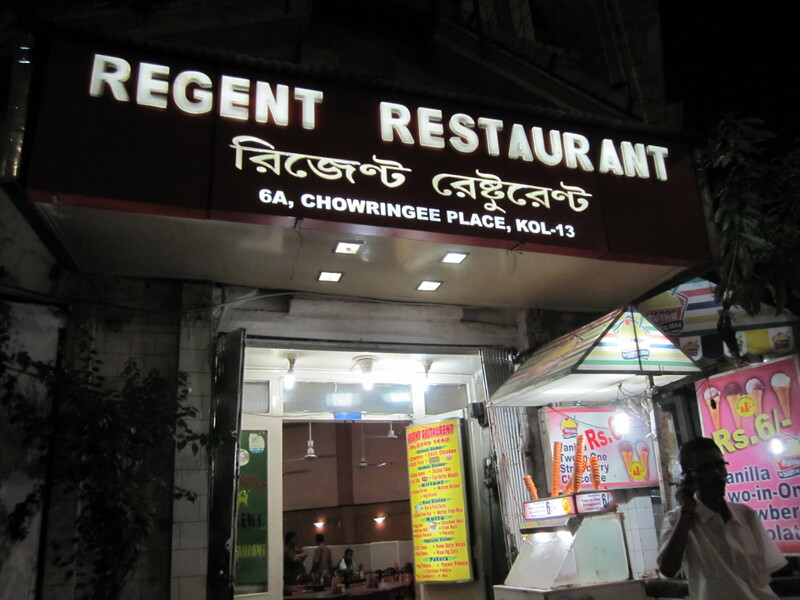 We decided to go to Kolkata(Me and my friends-Jess, Kenneth, Jo, Shirley and Josephine) after our last planning for it failed in 2009. I was surprised Jess our friend kept it in mind all this while and initiated the whole trip. So it was decided, 9-16th July was the date we rushed to buy our Airasia tickets online. Around RM340 I got my tickets, 2-ways can you believe it. I secretly laughed at Jo as he got his tickets for RM600+ (I can be quite evil >:P), another person who decided to come last minute, the last person I ever thought would come for this agonizing trip. We dedicated ourselves to prayer and adoration for 2months before this missionary trip, and I believe it was really fruitful. 1st day was bad enough; we were divided into 2 taxis. Taxis there drove like they were auditioning for “Fast & Furious”, a real DUI experience. It was thrilling really, taxis and cars drove so closely to each other even air couldn’t slip through the gaps, honking was a wildly abused communication tool on the roads. The taxi dropped us at the side of some unknown road as he couldn’t find the place we were heading to- YMCA, Sudder Street. Despite not knowing the roads he demanded us to pay extra for the ‘extra mile’ he went. *sigh* . We crossed the highway to the opposite side of the road, trying to figure out where we were as we had no number to contact each other, suddenly we bumped into the other group and voila! We found YMCA! YMCA, Sudder Street, looked a bit old with staircase all the way up, it felt like their staircases had extra gravity when you walk up, seriously. A little shabby, but I would say the place was comfortable. We had dinner at KARLO, not too far away from our place. Food there was ok..maybe it was not too good…Maybe tolerable…Honestly it was horrible. For dinner we ate at RANG MAHAL, food there was ok but wasn’t as cheap as it could get in Kolkata. 6am, we went to Mother House for mass. The sisters there sung beautifully, like the voices of angels, so pure and innocent. No riffs or runs, to ruin the beauty of a hymn that is sung from a beautiful heart. After a long time, I’m hearing true humility and worship being expressed through song. After mass we headed down to a small enclosed basement for breakfast. There were just too many volunteers from all over the country in one room, I have never felt such claustrophobic excitement before. We met Julie and Lily who were from America, a HUGE achievement out of being amazingly uncomfortable with the environment and people. We were given a pass to serve at Prem Dan (a home for the old women who were abandoned from begging on the streets to suffering from various illnesses mentally or physically). We took a bus for the first time, 39A/2, stopped at Char Number Bridge and walked straight on to find Prem Dan. 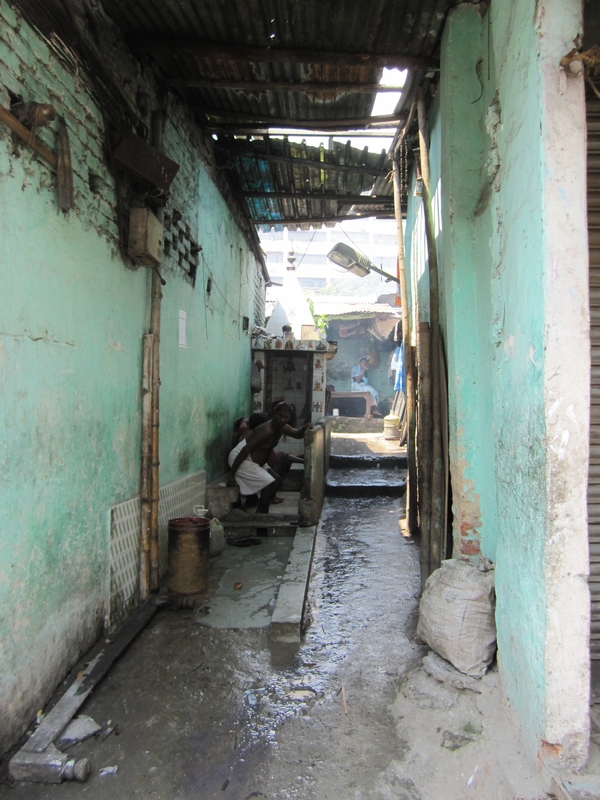 The slums along our journey were astounding. ‘Houses’ were made out of anything that was found amongst the trash. Such poverty they live in, and yet they show no self-pity, so focused on their work to survive. These people never chose to live like this, but God knows they can take such suffering, and His grace is poured out especially to these children who have nothing. It’s funny how we in the big cities have everything, and yet sometimes it’s like we have nothing. Our first day of volunteering work at Kalighat Kalighat, the Home of the Pure Heart (Nirmal Hriday) (formerly Kalighat Home for the Dying) is a hospice for the sick, destitute and the dying inKalighat, Kolkata (Calcutta), India, established by Mother Teresa. Woke up to a beautiful morning, hopped gleefully to the shower like little red riding hood, only to find out YMCA had no water. I burst out of my red riding hood suit like the Hulk. NOOOOOOOO!!!!!!! It could have happened but I chose to relax and go out of the room to find another pipe at least to brush my teeth. Don’t want to be the one who causes casualty at the hospice. We attended mass at St. Anthony’s and they had veneration of the Bread, they gave out bread to the parishioners. As we walked out with the bread still in our hands, a skinny only lady came to us with outstretched hands, begging for money. We offered her the bread and she rejected it as though it were a scorpion we were offering. We were advised at the Mother House not to give money to these beggars as many of them have become dependent on it, turning it into their ‘profession’. I was thinking and slightly disturbed that these people are so much poorer than the actual beggars long before this in India, those who really out of no choice, starve and die. But these beggars are so much poorer in a way that they have lost the purity of need itself, turning it into an easier way to live out of taking advantage and not being to really see God in each help they receive. I’m not judging but I’m just sad that the poverty is so different, which made me think that really this world is really in so much more need to know God, to know what love truly is. I think I think too much but oh well. As we were free that whole afternoon (Our work at Kalighat starts at 3pm), we offered to help out the sisters at the Mother House. Sister Mercy Maria (I don’t know if I got this correctly. She’s an American who speaks Spanish) earnestly tried to look for something we could do, and the feeling of it was not to make use of us but to really just make us feel at home (honestly we were scavenging for work, felt useless not doing anything). We worked with this nun from the Philippines who showed us how to stick Mother Teresa’s relic onto a card which was to be given out to public, encouraging people to ask her for intercession hoping that her beatification will be quickened. The sisters at the Missionaries of Charity or deeply devoted to Mother Mary and they rely constantly on her intercession in all they do, seriously while sticking the relics this sister just said, “can we pray?” I was expecting a short prayer and then she started with the Rosary prayer, praying so fluently through all the Mysteries. It was ingrained and their deep love and understanding on Mary’s role in the Church that really moved me, having a Crucifix and Rosary tucked to the drape of their white-sari habits at their waist, they constantly remind themselves of their vocation in God and the Mother of the Church who brings them closer to the heart of Christ. 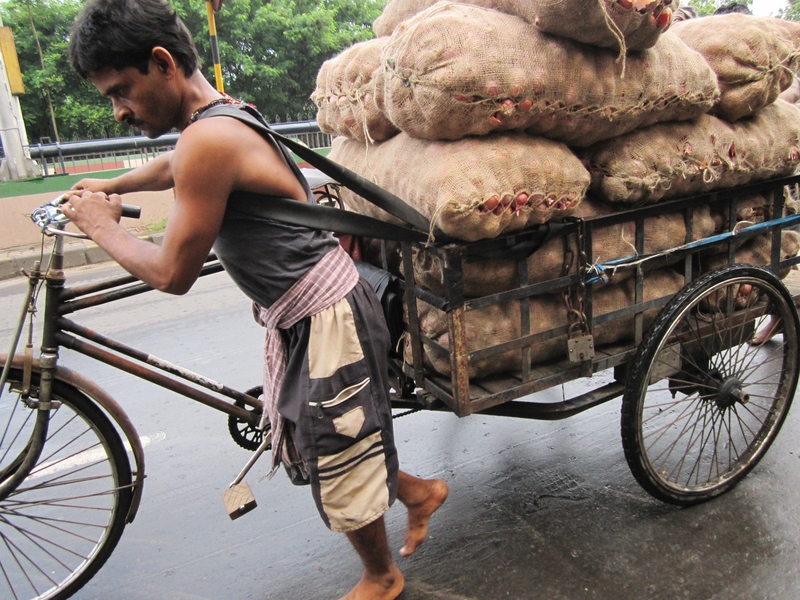 In Kalighat, I was suddenly asked to feed a sickly, scrawny old man. Initially, honestly I wasn’t deeply compassionate, touched or whatsoever (the movie “IceQueen” was running through my head). As I was trying to feed this guy slowly who struggled to even swallow his mashed-up food, I was trying to persuade him all the way in vain. So I asked the sister next to me how do I say “You have to eat”. So I learned a new persuasion in Bengali “Tumi balo ba ba khalo”. (if I got it right). Trying to talk to him through sign language I think I ended up persuading or convincing most that I wasn’t too mentally stable. While feeding, I was a bit confused as this old man, lying on his bed still, slowly turned towards me, lifting his hands up to my shoulder, I continued with my relentless persuasion tactics and stopped…This guy lifted his arms to hug me and pat me in the back. Despite being so sickly, he was trying to show appreciation and care. I just felt truly loved by this person, who has nothing to offer, nothing to give, but a sincere loving hug. And then I was reminded how I didn’t how in the first place I had not much of compassion, reflecting back on a quote by Mother Teresa that my friend shared with me a few years ago that Love is not all about feeling, but it is in the action and choice of choosing to love and through that God gives you the capacity to receive love, so you can give it back to the World. This sick old man gave me more than I could ever give him. On our way back home we took a tuk tuk(hehe took a tuk tuk). Tuk tuk= Auto-rickshaw. This rickshaw guy we stopped spoke not a word of English, he took six of us in one rickshaw reluctantly, wanting to earn profit from us foreigners, and yet he was not able to communicate something to us before we took off. 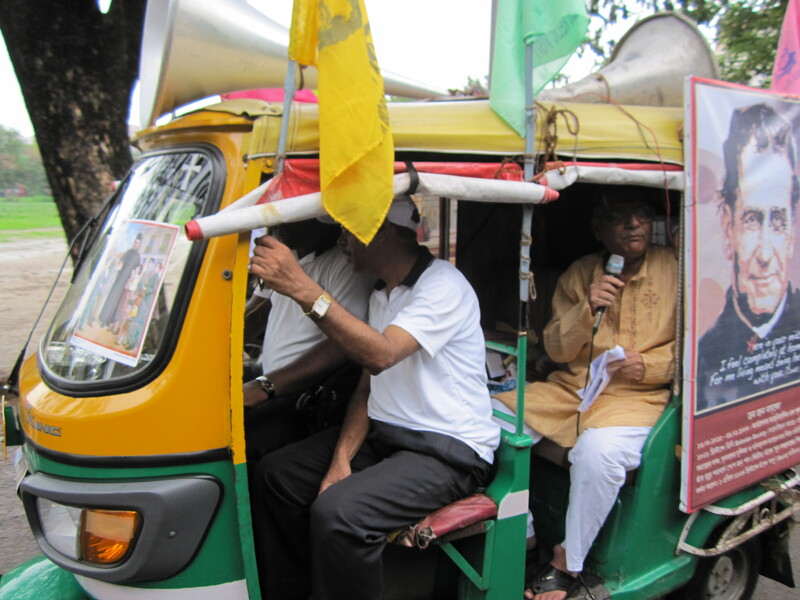 I felt something wasn’t really right; he stopped his rickshaw to ask some guy to translate his words to us. Then an uncle came by trying to mediate for us, and apparently this rickshaw driver wanted to explain to us that we would have to pay him more for taking a longer way as the other way had traffic police(surprisingly it was illegal to carry 6 people in a rickshaw, I didn’t know illegal existed in this place). This uncle was so nice to help us by asking us to come down from the tuk-tuk as it was a walking distance to YMCA from there. 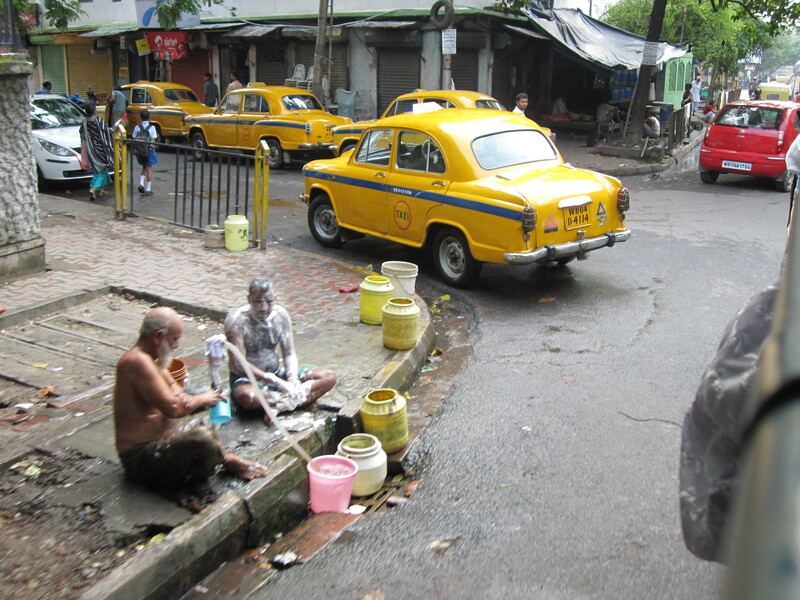 The rickshaw guy of course was unsatisfied, and vroomed off! Pheww!! Along the way we got to know this uncle a little more as he shared excitedly about his reason to come out that night even if he didn’t feel like it, his name-Michael Beach. His wife and daughter left him and since then he has been living alone, a sad story but there was only joy in his eyes and tone. We thanked him relentlessly, and prayed for him and for his daughter to be reconciled with him before we departed. This man showed so much love for us it was just amazing how people are sent into your lives for the smallest reasons. We ended most of our nights with sharing and prayer together, and it was really engaging and full of soul as we poured out our thoughts and our feelings towards things, negative, bad, good or whatsoever. 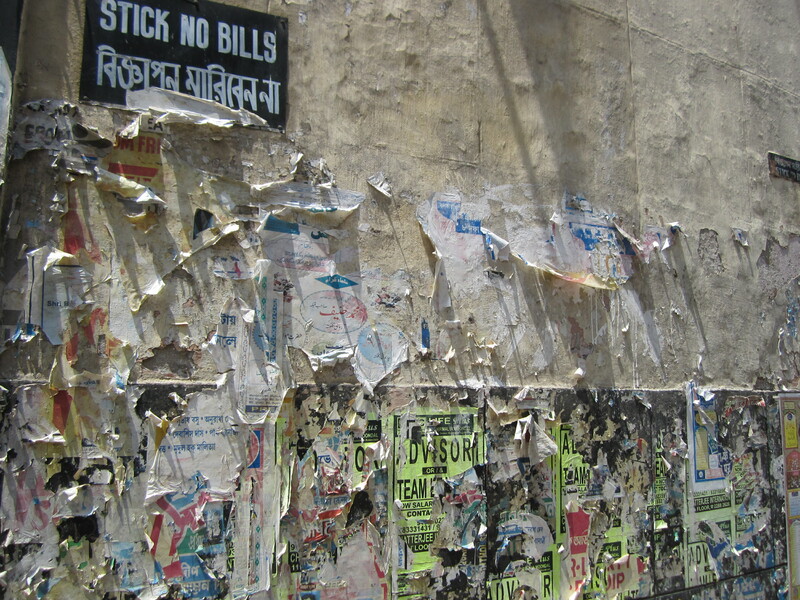 Every single thing in Kolkata was horrible, and yet renewing. A paradox hard to explain. Emotions surfaced and I just felt and learned so much through every single thing, through every acquaintance. The love of the sisters here transforms you in such a way that is unknown to the conscious mind(now that I realise it, it’s not so unconscious anymore), how they gave up everything to serve in such a humble yet joyful way. We spoke to sister Merci on the last day of our work and she shared how she was a lapsed Catholic and how she was brought to her vocation starting from reluctantly going for adoration. She shared one thing that really struck me about Adoration: “Doesn’t matter if you believe in the sun or not, if you’re under the sun it will still heat you up and burn you. And just like God present in the Blessed Sacrament, whether you believe in it or not, He will transform you from the depths of our soul & heart.” Sister Merci also reminded me of how God has given us a calling and talent already, it’s just whether we choose to use it; like a garage we own, it is always there, it’s just a matter of if we make good use of it. I loved music since I was 8 or 9 years old, I hope it is what God really wills for me though hehe. Anyway uncle Michael came looking for us again and brought us around. He is such a sweet old man who treated us all like his own children. 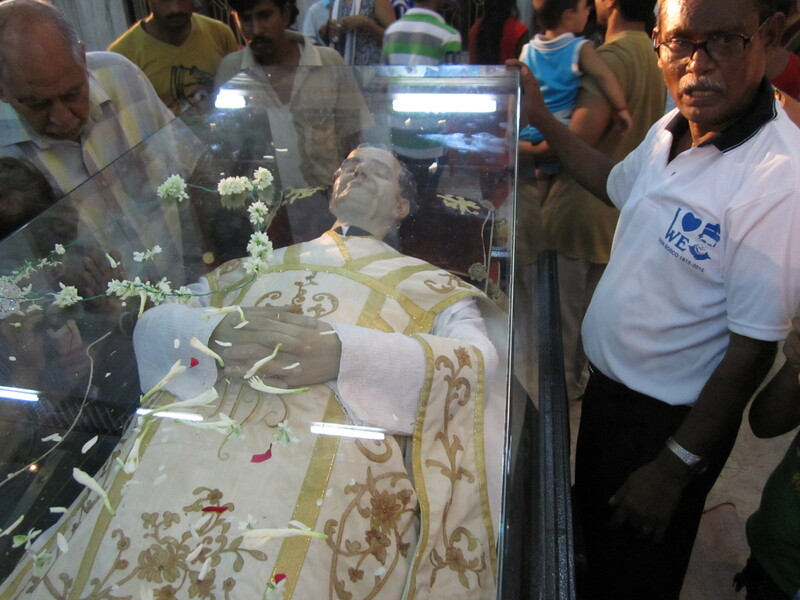 We went to the Auxilium Parish to see Don Bosco’s relic. The procession for it was just grand and welcomed with a band of drums. One thing in Kolkata, people there give much reverence to the Saints. They use touch a lot for example, touching the feet of a holy person for blessing and touching relics etc. We met this Irish teacher, Siobhán :Joan in english was her name if I’m not mistaken who experienced 4 deaths in a year of people close to her, she went to Kolkata alone just for missionary work. It’s great to see that people in spite of what they’ve gone through, they still serve as missionaries with so much joy and enthusiasm. This woman was another inspiring acquaintance. In the woman’s home there are people who were previously beggars, and till now still stuck in that mental state that they are suffering as beggars, reminds me of how we remain chained in our own thoughts, that even when a blessing comes we can be so caught up with our own selves playing victim. There’s this child-like song I really love, we sing it before heading to work. 2nd and 3rd verse replace love by “miss” and “thank” consecutively. Such innocence and child-like faith in a simple song. There’s just too much to talk about till the 8th day. 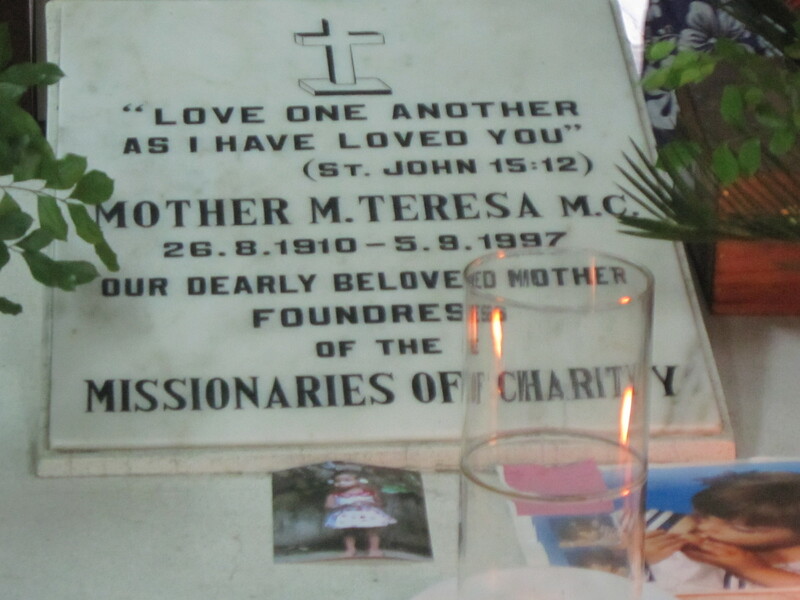 Too inspired by Mother Teresa’s life, how she was so close to God that she knew what she was called to so specifically. She gave her best in the smallest thing she did, she suffered silently and gave her love so generously to everyone around. How is it possible that such a tiny woman, do so much or have so much love and compassion. What she has done throughout her life just doesn’t seem logical or possible to be achieved. What I took home with me, it’s in the little things that God continues to speak to us if only we would really listen, that love is not always about feeling but action, and to be truly happy is to do what God has a called us to. tri-C-cle Design Graphic design. Creative ideas. Gila sis A musician. A cellist.